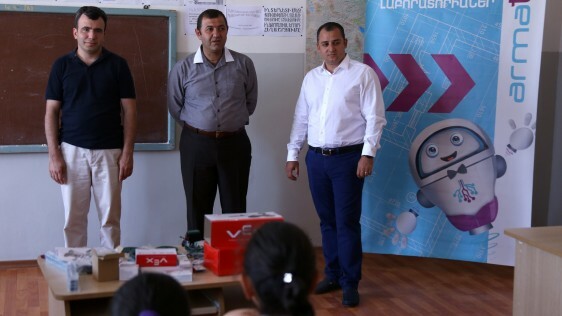 Upon the initiative by the Union of Information Technology Enterprises (UITE) with the support of Ucom, the opening parade of the “Armath” engineering club-laboratories reached the regions of Ararat and Vayots Dzor. «Armath» club-laboratories already operate in the secondary schools of Yeraskh, Yelpin, Areni, Getap, Shatin, in the high school of Vayq, in the 1st secondary school of Malishka and the primary schools number 1 and 2 of Yeghegnadzor. Let us note, that according to the Memorandum of Cooperation signed between the Union of Information Technology Enterprises (UITE) and Ucom, the latter invests to open around 70 more engineering club-laboratories named “Armath” in 9 regions of Armenia. The project aims to promote the technological education in all schools of the Armenian communities, to assist pupils in their early interest emergence in modern high technology, to promote the development of engineering mindset from early ages and to prepare competent students. The software and assembly drawings of the “Armath” labs-developed equipment are open to public. 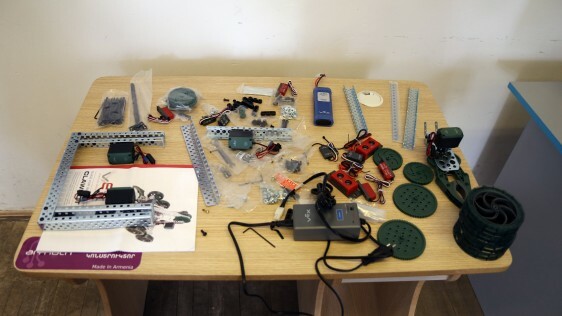 During the project implementation, for the acquisition of the equipment and software, the priority is given to the local producers, the bright example of which serve the high-quality three-dimensional (3D) printers, mini-computers, robotics kits and other devices produced in Armenia. 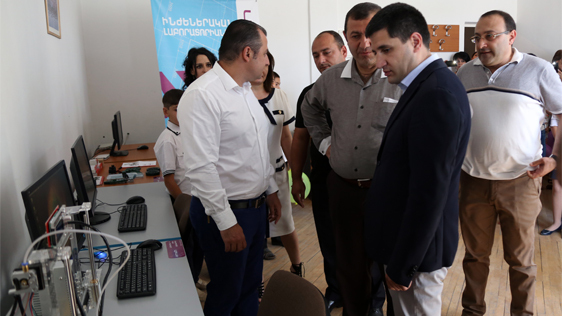 The Executive Director of UITE Karen Vardanyan expressed hope, that in the near future the pupils of “Armath” will establish startup companies and support the development of their families and community. “The most important factor I’d wish to emphasize upon is the geographical expansion of our laboratories. If every villager, especially the resident of a border village acknowledges that the future is in his/her own hands, our opportunities will be as powerful as today’s flaming sun, while our future will be open and bright”, - said Hayk Yesayan, the CEO of Ucom.